If you’re like me and can’t hear the phrase “most of my merchandise was ripped from the hands of dead adventurers” without Marcus’ voice echoing in your head, then you’re in the right place. Because like me you’re almost definitely really hoping that Gearbox is gearing up to announce Borderlands 3 soon, and if it is – cross your fingers, people – then here at GamesRadar we’ve come up with a list of 19 things that we would give mountains of Eridium to see in the sequel to Borderlands 2 . Yes, 19. Prepare yourself, because when it comes to Vault Hunters and Pandora, there’s a lot we’re thirsting for. Meeting Mad Moxxi’s daughter Ellie in Borderlands 2 was awesome. 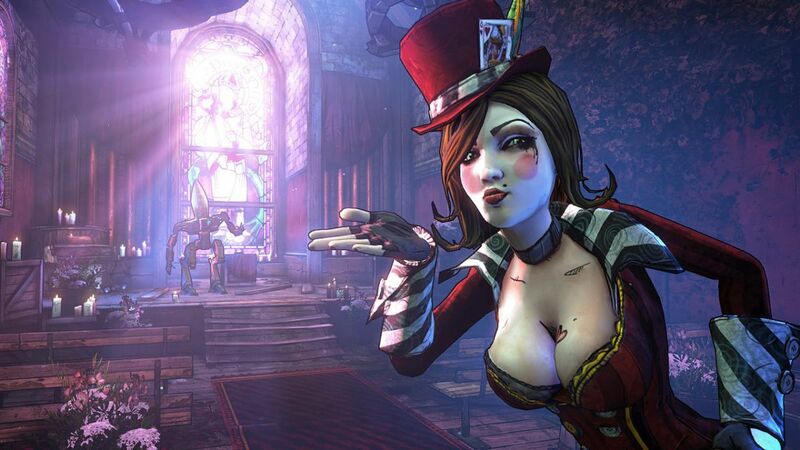 It gave everyone playing an immediate investment in her as a character and let us see a bit more of Moxxi’s highly private family life. Plus we got to see her squish a bandit to death in a junkyard car crusher, which was cool. More of these small glimpses into the families of central characters would be rad, especially if Borderlands 3 is set decades after Borderlands 2. Perhaps Lilith, Mordecai, or Brick have kids, or you might meet the offspring of – shudder – Handsome Jack. Magic space powers made both Maya and Lilith stand out as playable characters, leaving their ultimate abilities as arguably the best in each game (fight me). Come on, it’s hard to forget Lilith’s ability to phasewalk through enemies and re-emerge into the world in the middle of an electric storm, or Maya’s phaselock ability that temporarily gives you a break from a particularly powerful enemy while locking it in a damaging forcefield. It’s almost a certainty that you’re going to be able to play as another Siren in Borderlands 3, but their ability could be almost anything. I can’t wait to see what their glowy alien tattoos have in store for us. Roland had his Scorpio turrets, Gaige had the loyal Deathtrap (D374-TP if you’re being picky), so the next natural step for Vault Hunter companions is obviously a skag. These ferocious beasties have been our enemies since the very first game, and if you ask me I bet there’s some Vault Hunter out there who’s stubborn enough to have trained a skag to be their pet, and that’s an ultimate skill if I ever heard one. The skag could have a collar, it could run beside you when you’re fighting, then you unleash it on your enemies and it gnaws their face off like Nomad’s dog in Black Ops 4 . Awww. Now who’s a good boy?! Yes, I know this is similar to the skag companion point, but hear me out. Maybe one of the Vault Hunters has the ability to tame low-level wildlife, and maybe they can then put on some very tough gloves (spitter skags do vomit acid, after all) and carefully pet skags. Because skags are basically Pandora’s version of dogs, and maybe they just need scritches to turn them into lovable ol’ monsters. Maybe.